Brooklyn Bound with Best Trails and Travel: See the next game in style! We love our boroughs, our neighborhoods, and our cities. Brooklynites dread the commute to Manhattan, and Long Islanders just hope no one plans an event in the city on the weekend. But this fall and winter, we’re giving you lots of reasons to cross those bridges and tunnels to celebrate your home team’s seasons! You don’t want to miss it. The NY Islanders and the Brooklyn Nets are playing seasons to remember, both at the legendary Barclays Center in Brooklyn. And did you know? Best Trails & Travel is the official charter bus sponsor of the Brooklyn Nets and Barclays Center. We’re always on the road making fun destinations simple, luxurious, and stress-free with our plush coaches and outstanding customer service! Don’t miss out this season! Want to catch the games but dreading the process of getting there? We’ve heard the story: traffic, hassle, parking, and getting everyone coordinated are all reasons to stay home. Or so you thought! 1) With Best Trails and Travel, you can sit back and relax while we get you to the game and back home safe, sound, and on schedule! You can even start the fan party on the way! No more trying to navigate rush hour traffic while you’re just thinking about the game, and no more long drives home when you’re exhausted from cheering and all you want to do is reminisce on the win! 2) When you travel with us, you keep the gang together! No more hassle trying to connect or coordinate with your group. 3) Parking? What parking? We’ll drop you right off at a convenient point right outside Barclays Center. Feel like a VIP? It’s because, with us, you are! So whether you’re planning a small family outing or a large-scale corporate getaway, we’ve got groups of all sizes covered with our wide range of bus and van options! But no matter what kind of trip you’re planning, you’ll feel like royalty in our luxurious coaches fully equipped with WiFi, power outlets, extra legroom, and state-of-the-art seat belts. Think it can’t get any better? We have an excellent safety record and the cleanest, newest coaches in town! So, don’t miss the next game because it’s inconvenient. Change the rules of the game by letting us score winning points on the journey! Make the next game one to remember! Book your game day travel experience with Best Trails and Travel by calling 212-206-6974 or request a quote online at http://besttrailstravel.com/request-quote/. The days are longer, the nights are shorter, temperatures start rising, and schools go on an extended break. Summer is the perfect time to take the family to one of the areas amusement parks, and Best Trails & Travel has charter bus packages available that can transport your group in the “Ultimate Coach Experience”. New England undergoes drastic weather changes with the passing of the seasons. So much so that when the ice melts and rains subside, residents can’t wait to enjoy the good weather. Luckily, the area offers many options for entertainment for people of all ages and Best Trails & Travel provides charter bus transportation to all of the area’s most appealing amusement parks. The first amusement park on the list is Hersheypark in Hershey, PA. Originally created as an area for rest and relaxation for employees of the Hershey’s Chocolate Factory, Hersheypark boasts family attractions and 13 roller coaster rides. Another great amusement park destination is Dorney Park in Allentown, PA. This amusement park features eight roller coasters, including Steel Force which is the ninth longest roller coaster in the world, and second longest on the East Coast of the United States. Located in Longhorn, Pennsylvania is Sesame Place. This children’s theme park is inspired by the iconic show Sesame Street and features 14 acres of rides and water attractions. Here your child can meet their favorite characters and enjoy thematic rides, shows, and parades. Lake Compounce, located in Bristol, Connecticut, is the oldest continuously operating amusement park in the United States. Covering 332 acres, this park has fun for the whole family. From the award-winning Boulder Dash roller coaster to kiddie rides, Lake Compounce also boasts an on-site waterpark and beach. Six Flags Great Adventure, located in New Jersey, is the second largest theme park in the world, after Disney’s Animal Kingdom. Filled with heart-popping roller coaster rides, a drive through safari, and a water park; there are endless entertainment opportunities when you visit Six Flags Great Adventure. 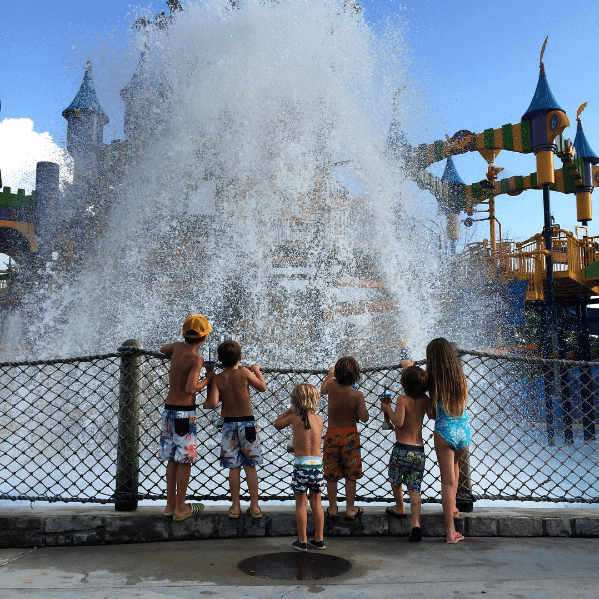 For water park fun, Splish Splash in Calverton, New York is the place. Ranked the third best water park in the United States, Splish Splash is 96-acres of aquatic action. You can find thrilling slides for adults and kiddie pools for children, there’s fun for the whole family at this park. 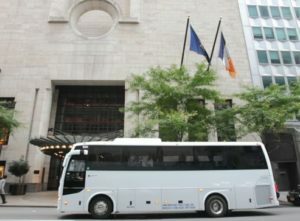 Need Coach Service in New York? In or out of the city, Best Trails & Travel offers you a full-range of passenger coaches for any corporate or private charter need. Many of our clients request multi-day trips to the Casinos in Atlantic City, but any place you and your group can imagine, we can accommodate it since we can take you on both local and long distance destinations. 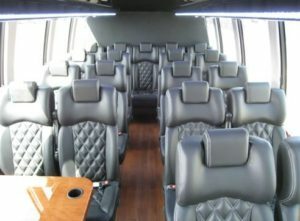 Our entire team wants to make your trip a success, so we can offer you some of the newest luxury coaches available that are filled with plenty of amenities to make your trip pleasurable such as TV’s, free WI-FI, and tables to enjoy your snacks. Remember at Best Trails, our goal is to give you a traveling experience to remember! 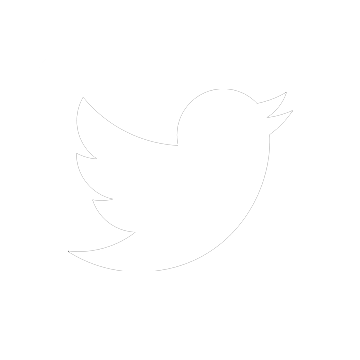 • Thinking of planning a day or multi-day trip with some friends, or a group of people? We offer special deals and packages to popular destinations like theme parks, casinos, historical sites, and many other great destinations. 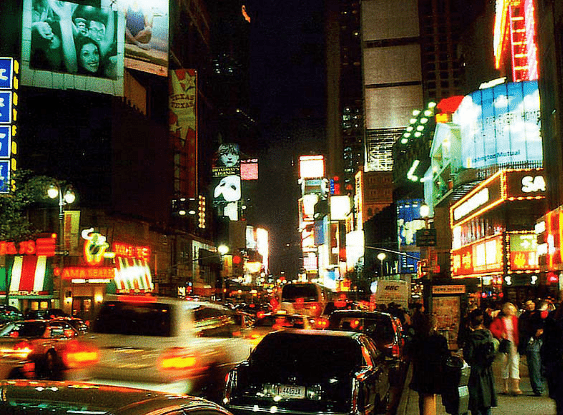 Get out of New York City for a day, or longer and hire us to charter you anywhere you like. When you plan a trip with Best Trails you get to take in all the sites and just relax. • The next time you want to avoid the trouble of driving yourself with trying to navigate through the city’s traffic and parking, at Best Trails you can leave all the traffic mayhem to us as we transport you and your colleagues on one of our executive mini-buses, which is especially useful for busy executives like yourself that have places to go with other key members of your staff. While riding in comfort on mini-buses, you can focus on more important matters, like business. 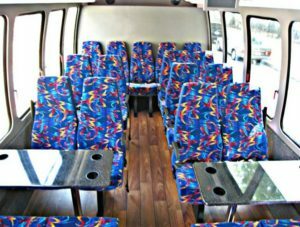 However, if you are a small group, or even just a single individual, this mini bus service will provide you with all the convenience you need, while we give you all the extras never found with just a shuttle service. 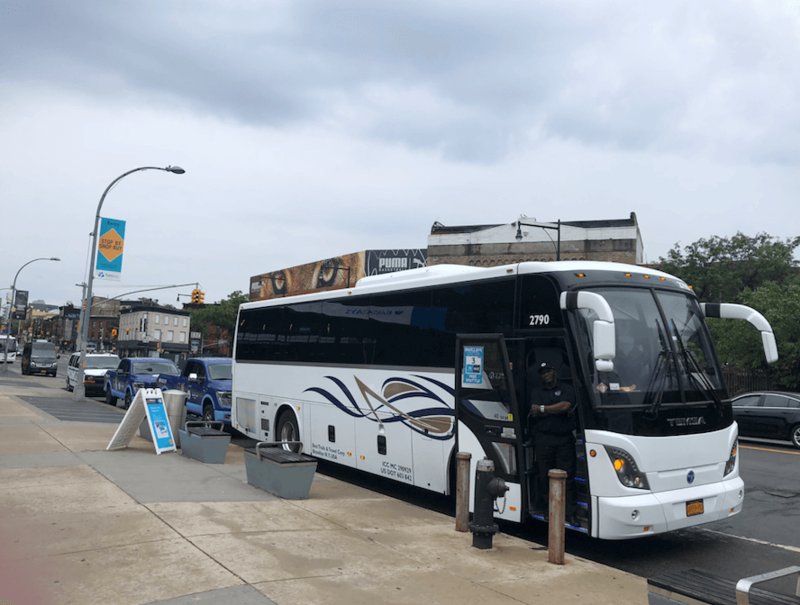 If you are not living in New York City, or the other boroughs, that’s no problem because we can offer you chartered bus service out of New Jersey too! • Love sports? Well, great news because Best Trails is pleased to offer a Nets shuttle service from the old Paramus stadium to the all-new Brooklyn location. Calling all basketball enthusiasts, we are making it easier to get from New Jersey to New York to watch the Nets play at their new stadium. Best Trails is proud to be the official Charter Bus Sponsor for both the Brooklyn Nets and Barclays Center! • There are so many advantages to renting a chartered bus with Best Trails. Just leave all the driving to us while you can catch up on rest, sit back and maybe watch a movie, socialize with your friends or colleagues, or if you choose to, work. With convenient door-to-door service, call Best Trails at 212-206–6974 to request a quote, or book a chartered bus, corporate bus, or mini bus today.